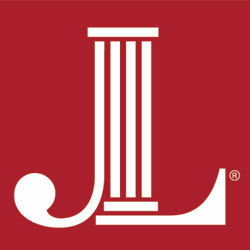 Connecting needs, resources, volunteers, and opportunities – that is all in a day’s work for The Junior League of Austin and has been for more than 80 years. As a women’s organization with a mission of promoting voluntarism, developing the potential of women, and improving the community through the effective action and leadership of trained volunteers, we make a difference in the lives of Central Texans. We gratefully acknowledge the generous support of our members and benefactors without whom we could not pursue our mission of service to the Austin community. Our Community Programs and Projects rely on donations from individuals and organizations – your support is critical to our continued success. YOU can make a Difference! Premier community event, A Christmas Affair! Help us by becoming a sponsor, providing silent auction items, or making a donation. And of course, we welcome you as a guest at all our fundraising events…you’ll be doing something good in your community, while having fun! Shop online through our Give As You Get portal, and the Junior League will receive a percentage of the sale – at no additional cost to you! Click here to start shopping. All your favorite stores participate, including Amazon, Target, iTunes, etc. Award-winning Cookbook – Austin Entertains! Whether you love to collect and purchase cookbooks for yourself or want to give it as a gift, a purchase of a cookbook is a great way to support our League. These fundraising efforts teamed with our trained volunteers ensure maximum impact of your gift. Should you have questions or need more information, please contact our Fund Development VP at 512.467.8982 ext. 239 or funddevelopmentvp@jlaustin.org.